ConnectOne Bank is a full-service commercial bank serving the New York and New Jersey markets. Since its inception, the company has operated squarely through the lens of their clients, which has demonstrated time and again to be a successful strategy for the bank. After all, putting people first is simply a better way to do business. Given the bank's high-growth business model, it needed an information-sharing solution that would not only scale alongside this incredible growth – helping to keep teams connected – but also meet client demands in an efficient and effective way. 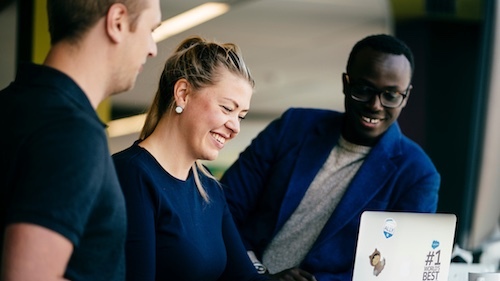 Salesforce proved to be the perfect fit, successfully helping ConnectOne Bank deliver "frictionless experiences" to their clients, even during periods of massive business growth. A lot of this came down to employees being properly trained and empowered to succeed across the Salesforce platform. Enter Sandi Zellner. Sandi is ConnectOne Bank's Assistant Vice President and Salesforce Product Manager. As the sole Salesforce Admin for over 300 employees, Sandi was faced with the unique challenge to ensure that every employee at ConnectOne Bank was ready to use the Salesforce platform to drive serious results. Sandi had worked as a music teacher for 18 years. Then, life took an unexpected turn when she was diagnosed with a neurological condition caused by an abnormality in the shape of her skull. She needed life-saving brain surgery. After surgery, however, Sandi was no longer able to teach and was forced to set her sights on a new career. That's about the time when she was introduced to Salesforce. Since then, Salesforce has become one of Sandi's biggest passions and, with the support of both the Trailblazer Community and Trailhead by her side, Sandi quickly became a Salesforce Admin — and is now 4x certified. Fast forward to the present day. Sandi has been at ConnectOne Bank for a little over six months now. A big part of her time has been focused on preparing for the Salesforce deployment – along with her implementation partner, nCino – and successfully helping the team go live on the platform. Trailhead played an instrumental role at every step along the way. Six months ago, the vast majority of employees at ConnectOne Bank had never even heard of Salesforce. It was Sandi's goal to make sure they all had a solid understanding of both CRM and the power of the Salesforce platform in a very short amount of time. 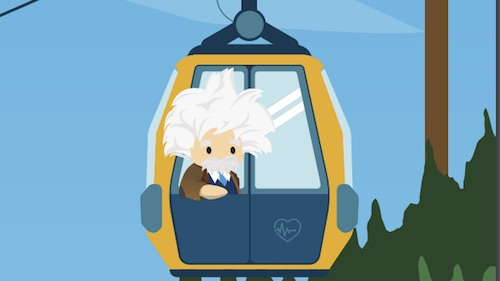 So, using Trailmixes (curated learning playlists in Trailhead), Sandi was able to create simple — yet effective — guided modules to teach the basics of CRM as well as how the Salesforce platform can empower them to go above and beyond for their customers. Learning the ins and outs of the Salesforce platform will soon be an ongoing part of the new employee onboarding process. This includes the launch of a Trailmix for new employees that introduces Trailhead on day one, which the bank hopes will build a culture of continuous learning. 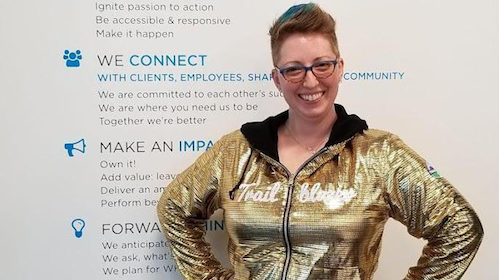 As ConnectOne Bank's only Salesforce Admin — who, unfortunately, can't clone herself — Sandi relies heavily on Trailhead to promote more Salesforce experts at the bank. Her goal is to empower at least one person in everydepartment to have a strong understanding of Salesforce in order to accurately and confidently address questions from the leadership team. Recently, Sandi also worked closely with both the IT and executive teams to drive learning around Salesforce data modeling and reporting. Data is a valuable tool when you know how to use it. Sandi uses Trail Tracker, a free app on AppExchange, to assign modules and projects to help these departments learn how to extract meaningful insights from data on the Salesforce platform through customized reports and dashboards. ConnectOne Bank's response to Trailhead has been overwhelmingly positive. Employees love the gamification element. Earning badges makes learning fun and drives just the right amount of friendly competition! For example, at this very moment, the IT department is knee-deep in a competition to see who can earn the most badges. Sandi tracks the team's progress with Trail Tracker. Sandi and ConnectOne Bank are now six weeks into their Salesforce implementation. Trailhead has been an essential tool in this process. In fact, Trailhead has been such an effective tool during this implementation that Sandi now wants it to not only be used during the onboarding process but also for creating a culture of continuous learning at ConnectOne Bank. There's no question that she's got an exciting vision for ConnectOne Bank's future, one that will undoubtedly help the bank achieve its client-first mission as they continue to grow. Looking to get your organization trailblazing together? There's a Trailmix for that! 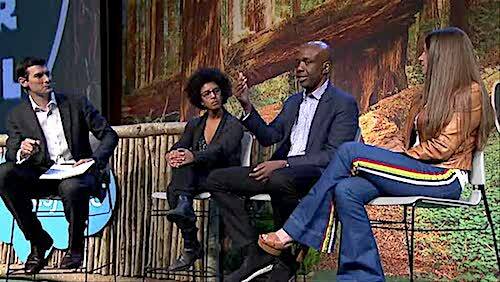 Get your company started with Trailhead.